Azam Khan said prior to his deposition in November, he was tortured for 20 days and could not give a complete testimony. Mumbai: Just two-days before the special CBI court is scheduled to pass a verdict in the alleged fake encounter killings of Sohrabuddin Shaikh, his wife Kausarbi and Tulsiram Prajapati, a key witness has moved the court seeking re-examination. Azam Khan, an associate of Sohrabuddin and Tulsiram, filed a plea before the special CBI court on December 19, stating that he had faced “unrelenting torture” for 20 days prior to appearing before the court as a witness. In a 22-page application, Khan claimed that because of threats and torture, he was scared to name IPS officers and politicians during his deposition before the court last month. Khan claims his testimony is “incomplete” and sought to be recalled as a witness. He wanted to be provided with security to ensure he is not threatened again. Before his deposition on November 3, Khan alleges he was kept in a hotel in south Mumbai and then taken into an SUV car in which Rehman was already present. Rehman allegedly threatened him and asked for a favourable deposition. If he failed to do, Rehman threatened to implicate Khan in false cases. The special CBI court decide on the application on Thursday. Khan claimed Abhay Chudasama, another police officer who was named as an accused in the case and later discharged in 2015, of masterminding the threats. According to Khan, Rehman had acted at the behest of Chudasama. In November, Khan made some explosive claims before the special CBI judge S.J. Sharma by linking Sohrabuddin to the murder of Haren Pandya, a senior Gujarat BJP leader. He claimed that Sohrabuddin was involved in Pandya’s murder, which he said was ordered by Gujarat’s former top cop D.G. Vanzara. He said this information was provided to him by Sohrabuddin himself. Pandya, a former Gujarat home minister, was shot dead on March 26, 2003 in Ahmedabad. 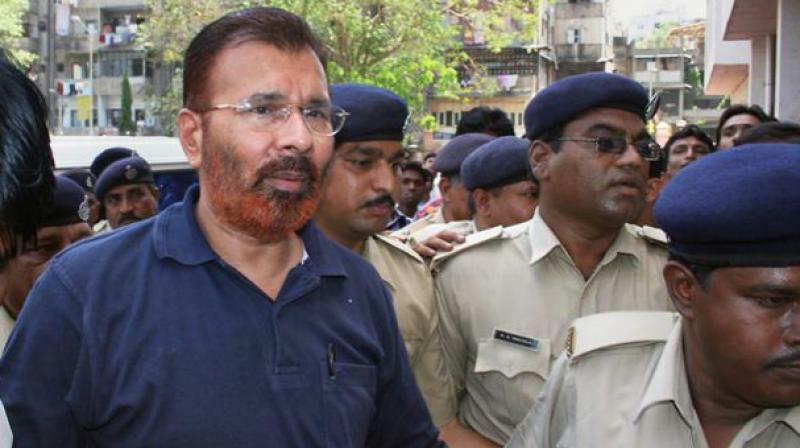 Vanzara was earlier named as the prime accused in the Sohrabuddin murder case, along with several other IPS officers from Gujarat, Rajasthan and Andhra Pradesh. He was later discharged from the case for “lack of evidence”. BJP chief Amit Shah too was accused of criminal conspiracy, but like other senior officials, his name was also dropped. Khan, in his application filed through his counsel Sarim Naved and Akhilesh Mogra, claimed that he feared for his life and hence could not muster the courage to speak about crucial material evidence in his testimony. He sought protection under the newly framed witness protection scheme to be able to depose before the court “fearlessly”. He also wanted protection for his wife Rizwana. In the application filed on December 20, he claimed his wife was threatened. He claimed that a person told her that if Khan did not give a favourable statement, she too will end up like Kausar Bi. According to the CBI, Kausar Bi was abducted and kept in a guesthouse for several days before she was killed. The CBI probed the possibility of sexual violence, but could not find enough evidence. The couple has also moved the Bombay High Court with similar prayers. 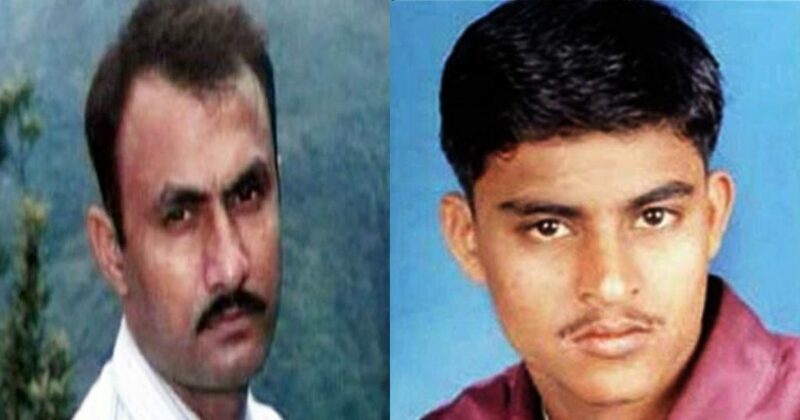 Sohrabuddin Shaikh and Tulsiram Prajapati. Another witness, petrol pump owner Mahendra Zala, has also sought to be re- examined. He has also made similar allegations, pointing at the prosecution’s decision to not furnish his statement recorded under CrPC 164 before the court. As a procedure, crucial witnesses are made to depose before a magistrate under section 164 of the CrPC to ensure they do not turn hostile later or are not influenced by the accused. The CBI failed to furnish both Khan’s and Zala’s statement (recorded under section 164 of CrPC) before the special CBI court. While the chargesheet had over 700 witnesses listed, the CBI decided to call only 210. Of these, 92 crucial ones have turned hostile. Khan claims that it is an intentional omission on the CBI’s part and that crucial witnesses like IPS officer Rajnish Rai have not been examined. Khan said the intimidation began on June 7. He said two of his brothers and an uncle were illegally detained for seven days by Udaipur police. He claims his mother was also threatened to try and ensure that his testimony does not go against the accused policemen.